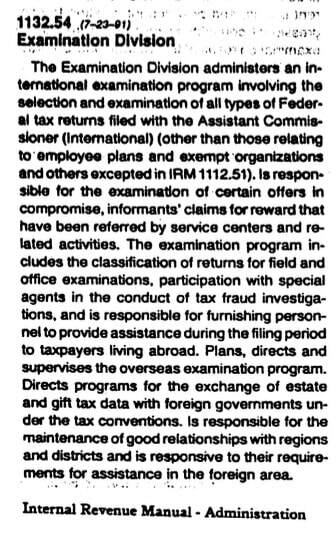 Why did these internal IRS manual sections I reviewed back in the late 1990s during my service in the IRS Criminal Investigation Division state that the IRS Criminal Investigation Division enforces the criminal statutes applicable to income, estate, gift, employment, and excise tax laws involving United States citizens residing in foreign countries and nonresident aliens subject to Federal income tax filing requirements? 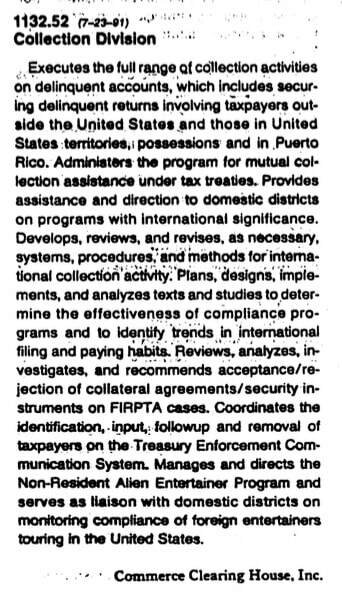 Why did the similar language appear in the IRS manual for the IRS "Examination Division" (i.e., IRS Audit) and for the "Collection Division" and for the Taxpayer Service Division? 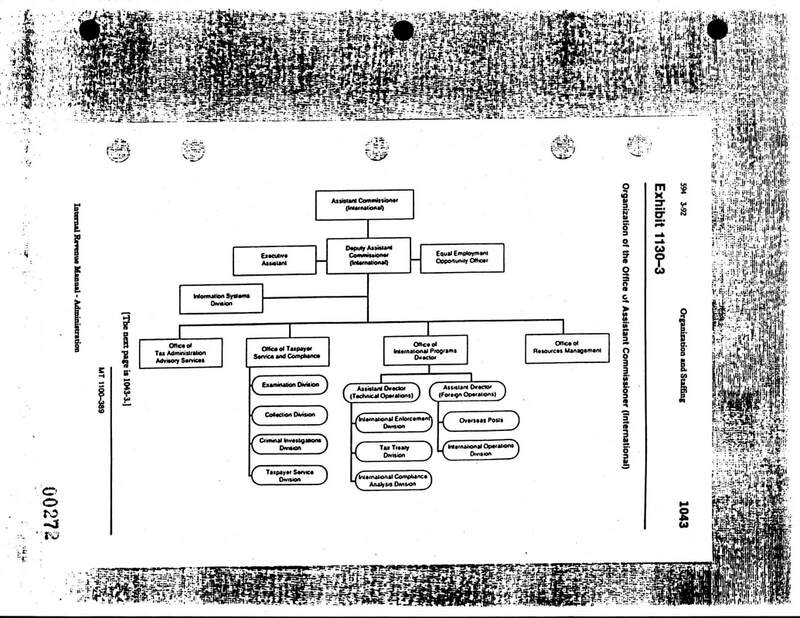 Why did the IRS restructure itself beginning in 1998, including the divisions described below, just 4 years before legislation requiring that the federal government use internet-based information technology to enable citizen access to government information, effectively making information such as that presented here accessible by the public with a few mouse clicks? See, for example, the E-Government Act of 2002. Did the IRS fear the American public's reaction upon reading such information? These are all questions the IRS refused to answer. This video explains in more detail my eye-opening personal experiences and surprise during my service in the IRS Criminal Investigation Division whereby I came across internal IRS procedure manuals indicating that the very division in which I worked not only answered to the "Assistant Commissioner (International)" but was described as enforcing income and certain other tax laws "...involving United States citizens residing in foreign countries and nonresident aliens subject to Federal income tax filing requirements...". 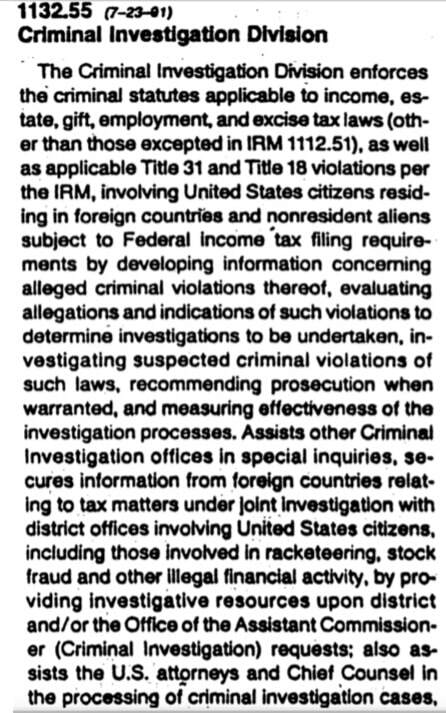 The images above are copies of the actual pages of the Internal Revenue Manual I personally photocopied while serving at the Internal Revenue Service. 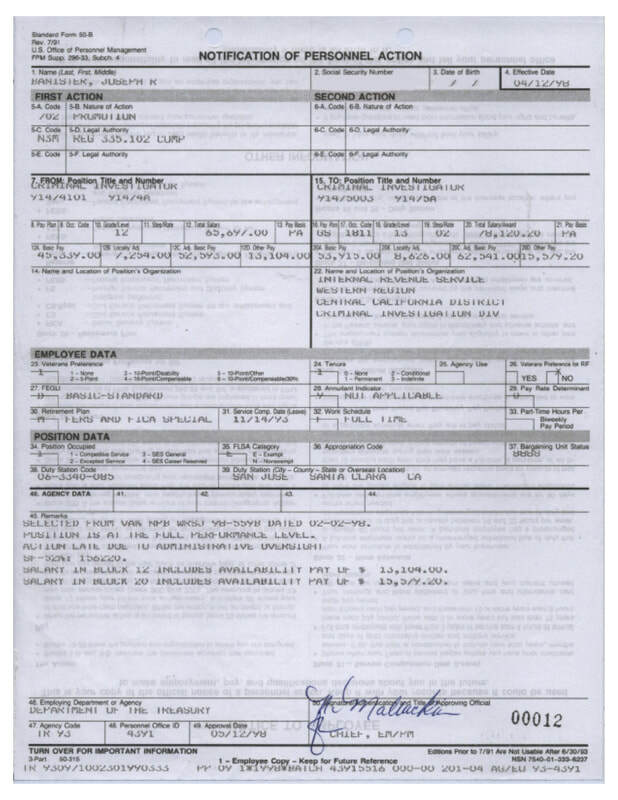 Note how this personnel document depicting one of my later promotions references the "Criminal Investigation Division" as the "Name and Location of Position's Organization" (middle right of form).